In German we have a saying that goes like this: ‘Wobbly tooth, wobbly soul’. My eldest, who is seven, has at least three wobbly teeth at the moment. That gives you an idea about his emotional balance. Or should I say imbalance? His unpredictable mood swings feel like a hard ride on one of those very big rollercoasters. Each yeeeaaaaaahhhh-that’s -so-much-fun-moment, follows an oooooh-noooooo-crash. Or the other way around. Or just many oooooh-noooooo-crashes at once. Most children will go through them: meltdowns, tantrums, emotional breakdowns. And it’s always up to us parents how we deal with them. And, yes, it’s not only the typical two-year-old who throws herself onto the floor in protest; it can happen to your seven-year-old or teenager too (well, maybe not the throwing-onto-the-floor-thing anymore). As I said, my eldest is not quite himself at the moment. He gets very tense and easily frustrated when he thinks he can’t do something (he’s into chemical experiments right now, and yes, you need a lot of patience there). He will scream and shout or just have another (aggressive) argument with his younger brother. All that and more usually between 8am and 8pm. Every day. And here comes the challenge: when he gets loud, aggressive or frustrated, then my initial feeling is – he needs my help and I’m right there to support him. But this becomes such a hard task when it goes on and on. By the afternoon and after a few of those meltdowns, my first inner response is something like ‘Stop!!! I can’t take this anymore! Leave your brother alone!’ And the like. Not very empathic, eh? I admit that often enough I feel exactly like that: instead of pouring empathy, love and kindness into my son’s empty glass of emotions, I would give him a stern look and a firm ‘stop’ or ‘no’. The trouble here is, my firmness (or helplessness) won’t give him what he actually needs and cries out for: connection and unconditional love. If he feels both of that he will be able to manoeuvre through all meltdowns and difficult times in the whole world. If not, he will probably feel guilty and might think something is wrong with him. Giving my child lots of love when he’s behaving like a cage man? Yes. And the reasons are simple and indeed logical: My son does NOT want to annoy me or anyone else. That’s my mantra and it should be every parent’s. He is learning. Every day, every moment. He figures out about social interactions , boundaries, emotions, feelings, skills and so on. His meltdowns are cries for help, saying ‘Papa (or Mama, of course) I can’t take this anymore. I’m confused. I’m frightened. I missed you all day. I’m tired. I’m …’ well, pick your own. You and I (the parents) have to come to terms with the fact that our children respond so much better to connection, love, and empathy than to commands, isolation, and blame. 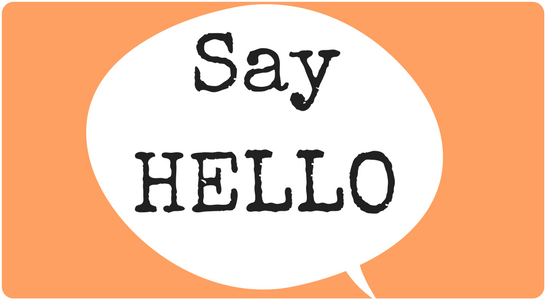 From observations and talking to parents I can say that many react to a child’s ‘misbehaviour’ by sending the child to his bedroom. That goes with the message he should do some THINKING! Well, that is, quite frankly, bonkers. Why should an angry or upset seven-year-old suddenly start thinking like ‘oh yes, dad is right. I really screwed up here and I deserve sitting in my bedroom on my own. OK. I just calm down and then I go down to apologise.’? Really? Connection, love and offering help is the better answer. Yes, your child might want and need his space for a moment. That’s often like that with my son. Before he is able to accept my closeness, he asks for his own space. And I have to respect hat. But that also means I’m still there for him if he wishes to connect. Another great idea Hand-in-Hand Parenting suggest, is to have Special Time with your child. It can be as simple as having five, ten, or fifteen minutes of undisturbed playtime. And, here comes the trick, your child is in charge. He is the boss telling you what you both do at Special Time. If he wants to play his favourite game with his made-up-rules, it’s your call. Of course, Special Time doesn’t mean you do dangerous things or spend £2,000 on toys at online shops. No. Special Time gives your child the chance to feel more empowered (how often is it the other way around?). And for you it’s a beautiful moment to truly (re)connect with him. It’s like filling up your child’s emotional cup with confidence, love, and trust. Using Special Time regularly can help to prevent meltdowns and tantrums. It could work like this: Spend this Saturday with the motto ‘Let your child decide!’ Yes, everything: from when he wants to get up in the morning (hey, he might choose to stay in bed until lunchtime, so you have the morning to yourself), then the activities he chooses for the daytime, his favourite food, to the point he decides it’s bedtime (agreed, it could be late!). Oliver James says “I developed Love Bombing to reset the emotional thermostats of children aged from 3 to puberty. It gives your child a very intense, condensed experience of feeling completely loved and completely in control”. He advises to have a go at Love Bombing for a day or two or even a shorter period, followed by daily half hour slots devoted to it. Both ideas can help you and me to feel more connected to our children. I’ve tried them and I can assure you that my son (and other children too) always felt so much lighter, happier and confident afterwards. Yes, tantrums and meltdowns are still part of my parenting journey and they always will be. I have to accept that and breathe calmly through those moments. When I see him arguing and fighting with his younger brother, then I remember that he is preparing for social interactions in the real world. At home he can test out things safely. And, again, my son is NOT meaning to annoy me. He’s not giving me a difficult time, he is going through one. I need to be there to hold and hug him (if he wants to be hold). Reassuring and loving words will guide him. And, yes, the wobbly teeth and wobbly-soul-moments will pass. Wanna read further? 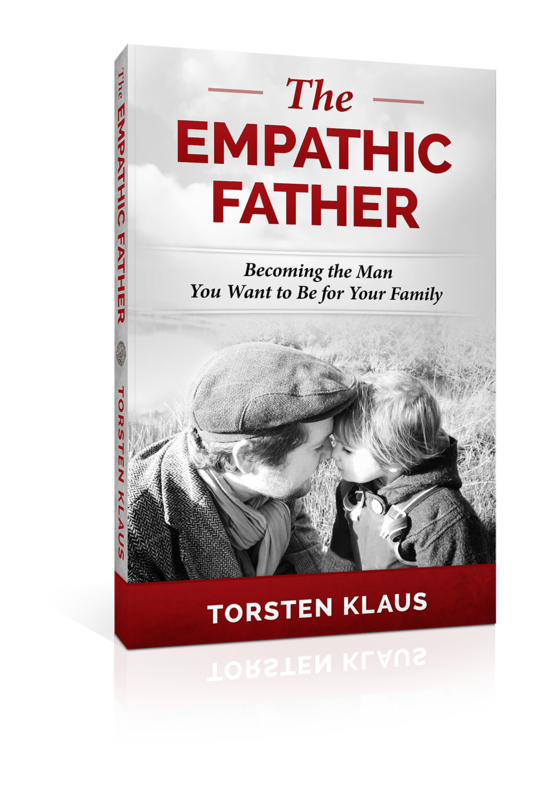 Get my book ‘The Empathic Father’. Categories: Parenting and Empathic Fathers | Tags: attachment parenting, authentic dad, dads, emotions, fathers, gentle parenting, meltdowns, peaceful parenting, play, tantrums | Permalink. I love this! The german saying is brilliant.